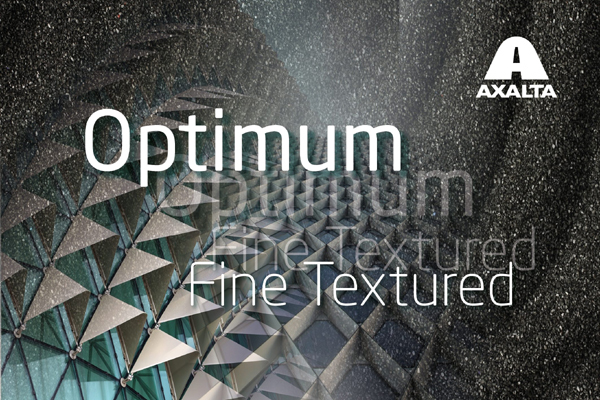 Axalta Coating Systems, a leading manufacturer of powder coatings, has introduced the fine textured powder coatings “Optimum” range – a new super-durable benchmark for architectural applications. This innovative development for impressive architectural solutions enables an increased value creation for coaters, said a company statement. The key features are the optical features of these RAL-based finishes and their enhanced technical properties. The technical enhancements enable improved productivity and higher application efficiency. The improved transfer efficiency and the optimised penetration at the edges and corners ensures a higher coverage is achieved with the same volume of powder, hence consumption can be reduced, and conveyor speed increased compared to conventional super durable powder coatings. The easy processing of Optimum powder coatings allows for a faster operation of the coating plant and also a reduced number of rejected items. In terms of appearance and durability, the Optimum powder coatings also set new standards. The coated, super-durable surface impresses with a uniformly fine textured effect and an extra matt finish. This is rounded off by enhanced ultraviolet (UV) fastness and outstanding resistance to scratches and damage.